Mathnasium is rolling out its math summer programs for Ipswich MA, students who want to keep on top of things. 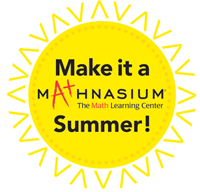 From elementary math, up through middle school and high school levels, Mathnasium’s learning center keeps students on target and on focus throughout the summer. Our Ipswich, MA, summer programs offer hands-on, one-on-one or semi-private instruction, to help students master key concepts and grasp fundamentals. Don’t let slippage occur — two-and-a-half months is a long time. Maintain and sharpen skills by enrolling your student in Mathnasium’s Ipswich, MA, summer programs! Mathnasium provides a warm, positive environment for students to hone in their math skills. Certified tutors help students review last year’s concepts, providing additional support if necessary, and prepare new material for the upcoming school year. Mastery checks are performed at the end of each session, and tutors take inventory to keep you posted on your child’s performance. Enrollment* includes 16 one-hour sessions that you set up at your convenience. Mathnasium’s summer programs for Ipswich, MA, students reinforce concepts necessary for math success. Our certified tutors specialize in connecting with students to make the most out of sessions. Students receive individual attention for a fun learning experience that bolsters confidence and preparedness. Mathletes — enroll your student in Mathnasium’s Ipswich MA summer programs and enjoy math throughout the summer break!